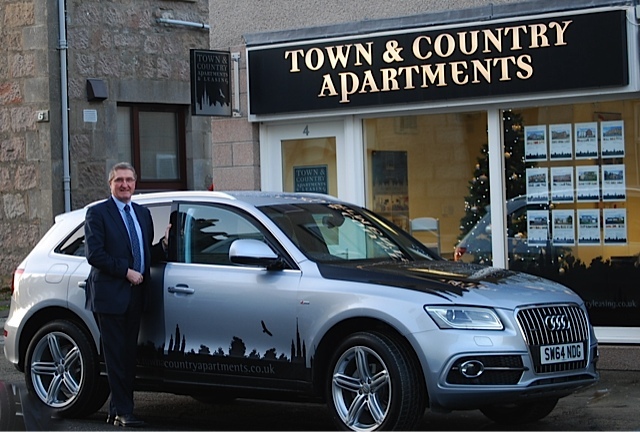 With Town and Country’s complimentary chauffeur driven car service, your luxury experience begins the moment you arrive in Aberdeen. Book your accommodation with us and we will make your journey from the apartment as smooth and easy as possible. On arrival at Aberdeen Airport or Railway Station you will be greeted by a uniformed driver with name board. You will then be driven in one of our fleet of luxury executive vehicles to the door of your apartment, house or villa. Our knowledgeable drivers would be delighted to offer advice, travel and tourism tips for the area enroute. If you would like to find out more about our complimentary transfer service on arrival to Aberdeen, please phone or email us.